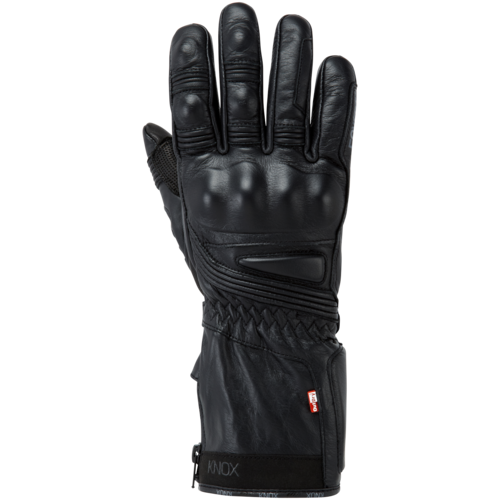 These leather gloves from Knox are seriously waterproof (see video below), using their patented OutDry® Technology. 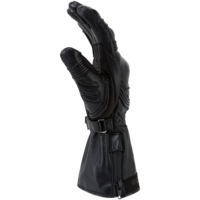 They have a total laminated membrane on the back of the leather, so it cannot absorb water past the leather exterior, meaning the glove doesn't become heavy with water in the rain. Also the fingers will not pull out which is a massive frustration for so many riders! 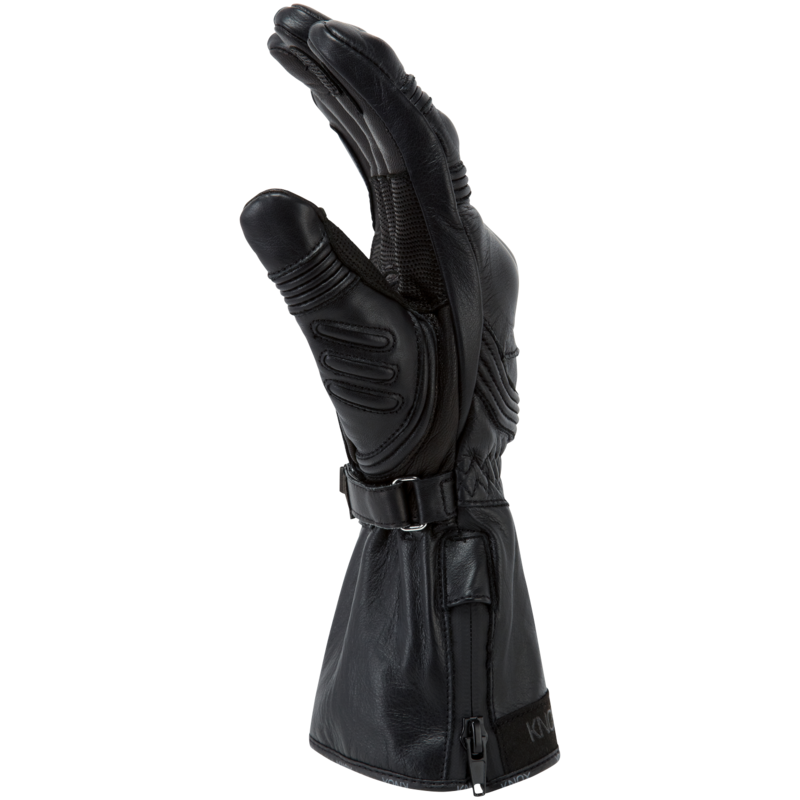 This patented technology from Knox replaces standard waterproof inserts that are used in all other motorcycle gloves and is a huge step forward in waterproof glove technology making the glove waterproof and breathable and without extra thickness. 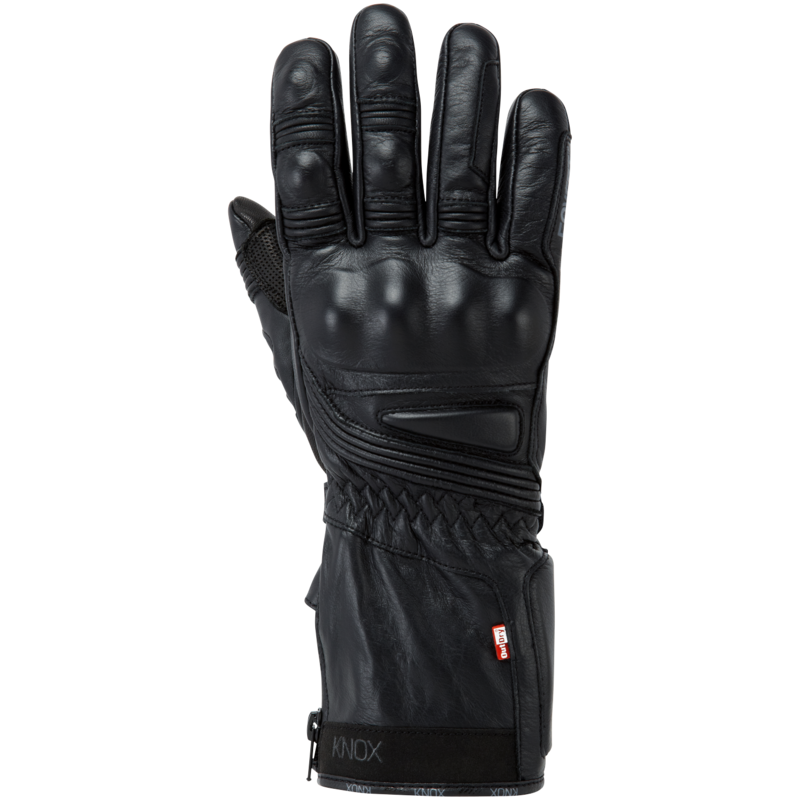 Perfect Fit – Increased Dexterity – because the membrane is bonded to the shell. 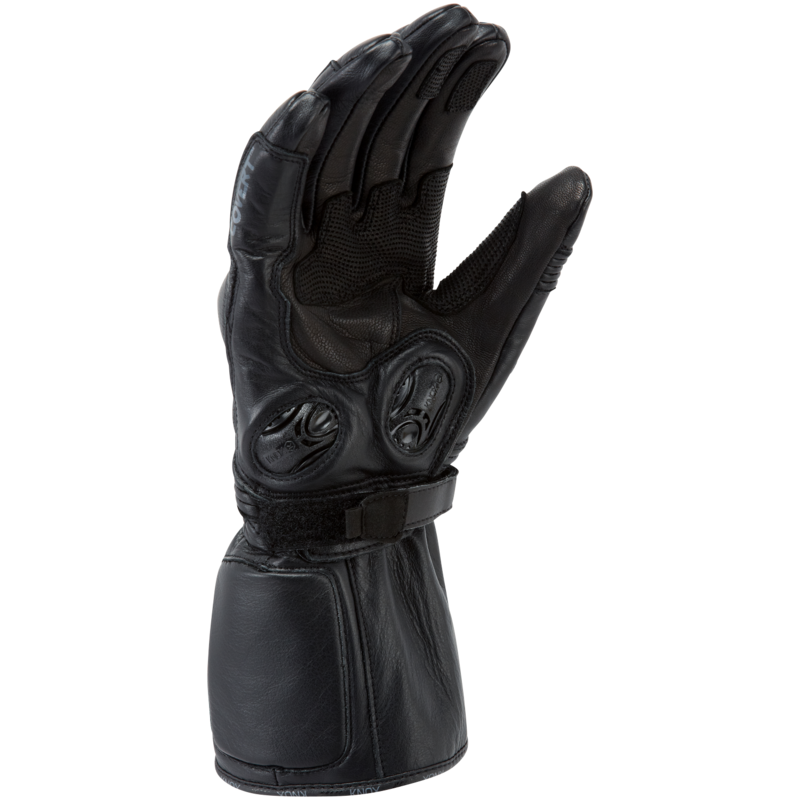 This makes the glove thinner giving greater feel and sensitivity. 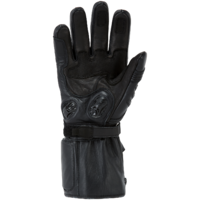 Windproof – With OutDry® bonded membrane technology, wind is blocked on the outer surface. With conventional construction, air can penetrate the exterior and fill the space between shell and membrane. 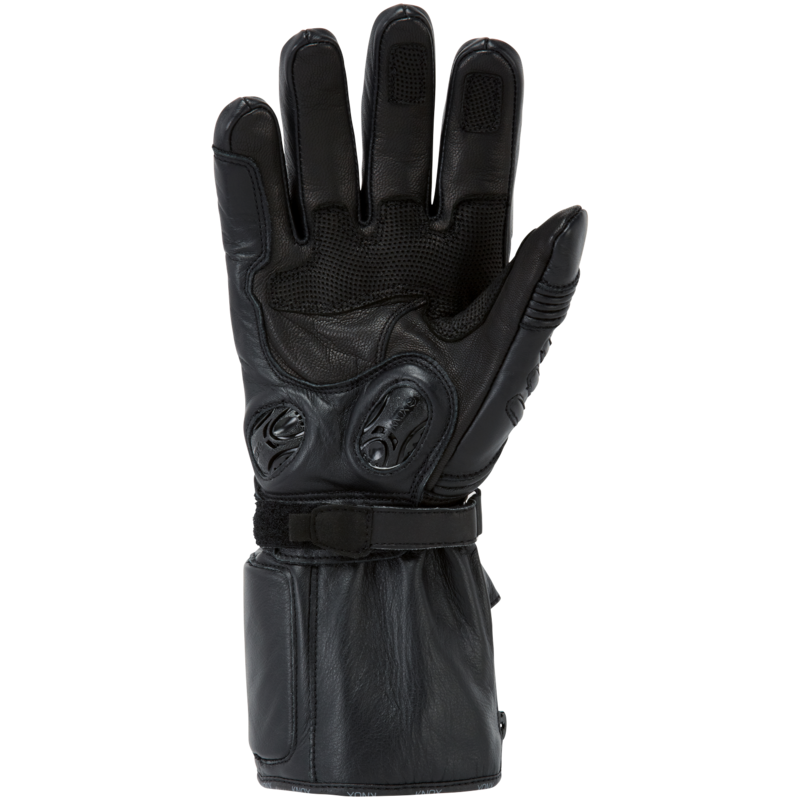 Highly Breathable – The OutDry® System prevents moisture build up between shell and membrane which allows body vapour to easily push through the glove, keeping hands dry on the inside. 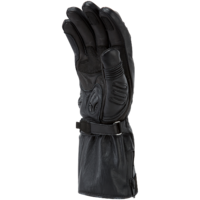 Soft silicone knuckle for added comfort. 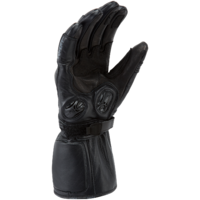 Velcro wrist closure for a secure fit. 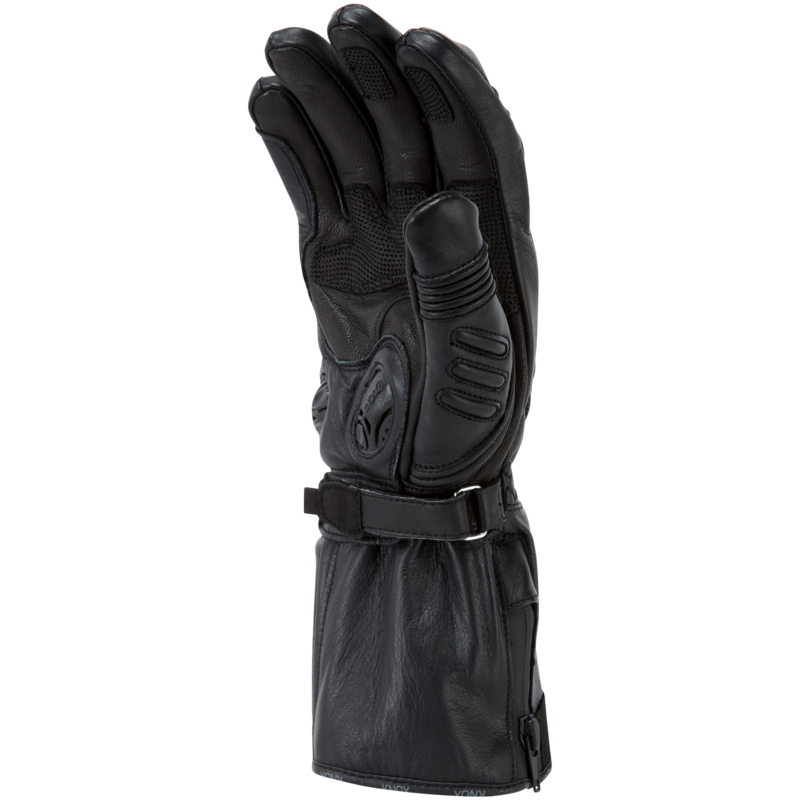 Low profile cuff section of the glove so that it fits well under jackets.